A point of sale (POS) system can give you a new level of control over your restaurant operations, help you increase efficiency, boost profits, avoid fraud, and give you more accurate analysis of sales. Switching from a traditional cash register and paper-based orders to a restaurant computer system can be hard, but the return on investment can really make it worth your time and effort. For retail-style restaurants like sub shops, POS systems often include printers in the food preparation area, eliminating the errors that can happen when hastily-scrawled orders are passed back to the kitchen. For quick-service restaurants, POS systems are practically a requirement for living up to their name: orders taken on terminals in the front are displayed on monitors in the kitchen, ready to be quickly assembled and delivered to the customer. 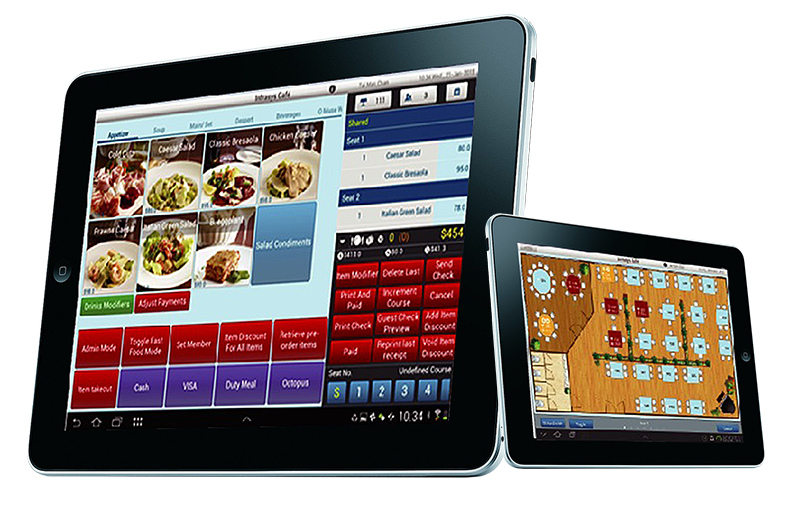 Fine dining POS systems typically include more stations: multiple server stations, a bar station, a order station, and printers in the kitchen than more basic POS systems. They also have more functionality -- including the ability to create and store open checks, let servers send "Rush Order " to the kitchen to speed up the process in kitchen area without having to rush to the kitchen, as well as track which server is responsible for which table. employees appropriately. Inventory reports help you order the right ingredients week after week, cutting down on wastage. And order reports let you see which items are most popular, which items generate the most profit, and which items you should probably drop from your menu. • Prepare for the worst. As with any computer system, backups are important. Talk to your vendor about automated backup schedules. • Clean up. Preventative maintenance is important: vacuuming out the cases and cleaning printers can extend their lives considerably. • If you can't stand the heat... When choosing printers, remember that the heat in the kitchen can be enough to ruin thermal paper. Impact (dot matrix) printers are a better choice.